Jakarta Provincial Government will develop home industry in flats. Currently, home industry training has been given to residents in several flats. "We will make home industry training in all flats . 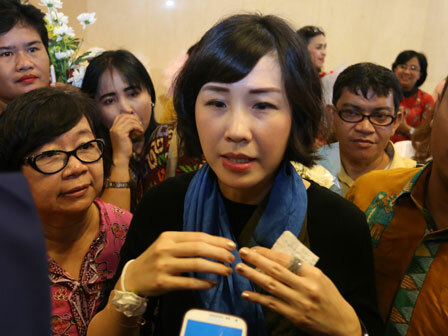 Thus housewives could have skill"
Jakarta PKK Team Leader, Veronica Tan said, from 23 flats that owned by City Government, home industry training has been held in several flats. Later on, this training will be held for all flats thus the residents will have skill. "We will make home industry training in all flats. Thus housewives could have skill," she said in City Hall, Wednesday (4/26). She explained, currently, home industry training has been held in Marunda Flat, Rawa Bebek Flat, and Daan Mogot. The given trainings are batik painting, sewing, knitting, and others. "Product which made by these flats residents will be sold through business men. Thus the product quality must be good," she closed.